Allini Water Filters Of Florida, Inc.
Du-All Sewer and Drain Service, Inc. Comment: Want to replace existing whole house system I recently have a system installed by Pelican and not happy with it. Comment: I would like to get an estimate for water softer install. Comment: I would like to get an estimate for replacing my water purifier. Comment: Purchasing home. Inspector recommended servicing filtration system. West Palm Beach Water Treatment Companies are rated 4.74 out of 5 based on 461 reviews of 26 pros. 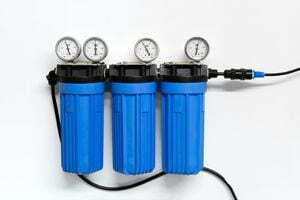 Not Looking for Water Treatment System Contractors in West Palm Beach, FL?